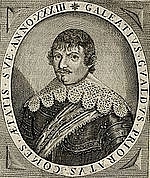 Author of An History of the late Warres and other State Affaires of the best part of Christendom, Beginning with the King of Swethlands Entrance into Germany and Continuing to the Yeare 1640. Galeazzo Gualdo Priorato is currently considered a "single author." If one or more works are by a distinct, homonymous authors, go ahead and split the author. Galeazzo Gualdo Priorato is composed of 2 names. You can examine and separate out names.